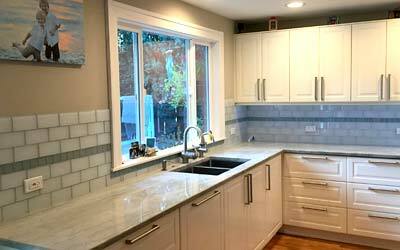 Let Natural Stoneworks help bring your new kitchen or bathroom remodeling dreams to life. 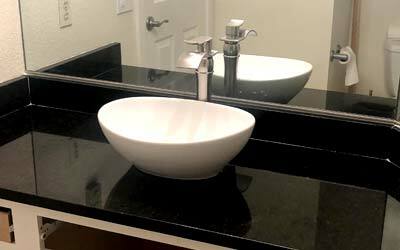 We have years of experience working with all types of natural stone, granite, glass and many other materials to fabricate the extraordinary countertops that will give your kitchen or bathroom remodel that distinct look and feel. 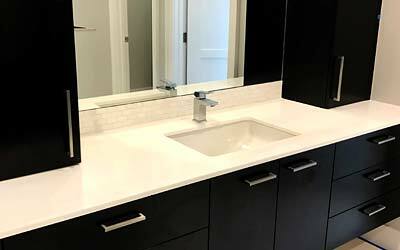 We create custom countertops and can upgrade other home areas as well. Let us recreate your bath or shower surround, possibly and a custom shower pan drain; or a fireplace or barbeque surround. The possibilities are endless using our expertise and quality locally sourced building materials. Let us sit down with you and look in detail at the project want completed for your home, office or entertaining space. We can create your signature look that will seamlessly go with current cabinets or fixtures or match anything new you're are looking to add to the space. We work with only the highest quality local Seattle area material suppliers. Please feel free to utilize our list below to visit, take photos, get samples and talk to material experts about your project. Once you have a good selection of samples we are happy to meet with you in person to create your dream space.